We've gotten some questions about the award-winning projects we posted about last week, so we thought we'd share them with you! We're going to start with this project, a kitchen for the Pintos, which won the Contractor of the Year Award for a Residential Kitchen $40,000 - $80,000. The homeowners came to us wanting help updating their kitchen. Their children are older now, and they all love to come to the house for holidays and other family gatherings. The homeowners also love to host large events at their home. 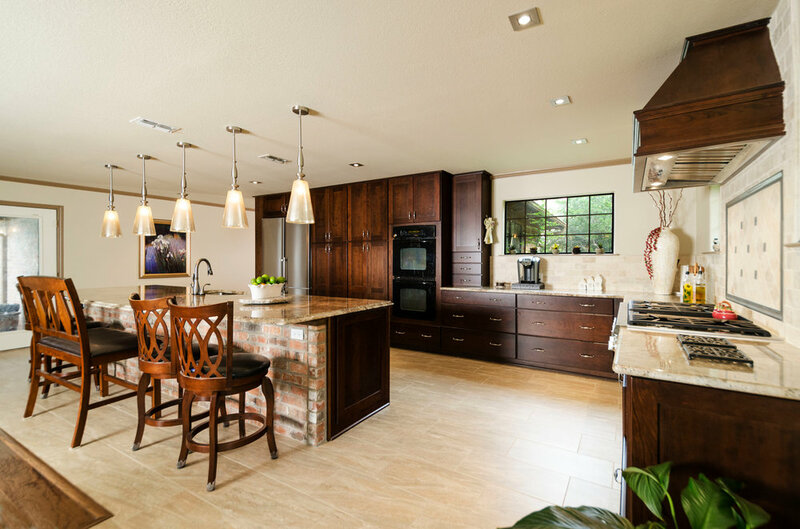 Their home didn’t really provide the space they needed for these large gatherings, and the kitchen was very separate from the living space, so the homeowners often felt like they couldn’t enjoy their guests while they were in the kitchen. 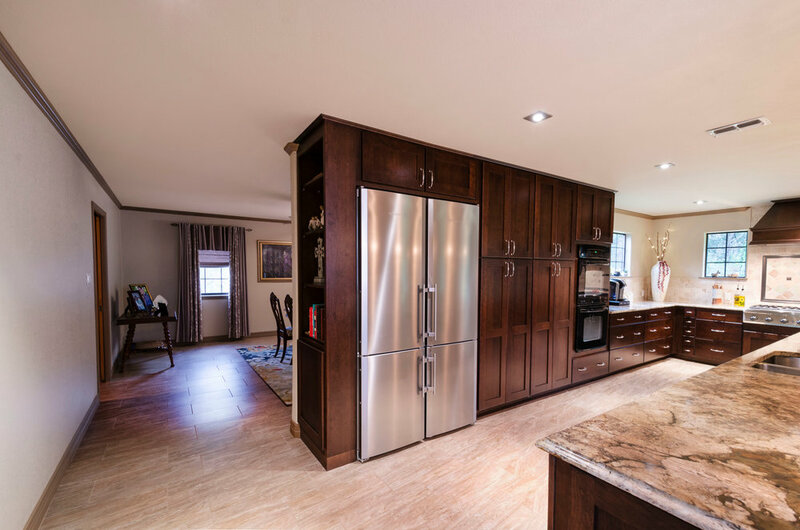 The homeowner loves to cook, so the kitchen features a custom stove area with a full open pantry and a giant island that now all connect to the kitchen bar. This gives the homeowner the connection he craved to his friends and family during their gatherings. Additionally, to provide more space in the renovated kitchen, we removed some cabinets in the living area that were obsolete. The kitchen area also is located near the outdoor/pool area, but the existing doorway didn’t allow a connection to the area. As part of the project we fixed the connection, allowing for more seating during parties via the breakfast nook, the Island area and integration with the rest of the living space. The resulting project brought the house into the 21st-century where they can entertain with adult friends and their adult children for like the next few decades. They love their home and had no desire to move, so this project was truly a family making a commitment to their home to transform it into something much more suited to their lifestyle as hosts for large gatherings.